Seriously, you think I’d stop that by now. Well, we’re at it again, but at least we’re just moving across town and not across multiple states. It’ll be tricky to get everything done for DragonCon since I’m moving August 6th, but I’m going to do my best! In the meantime, I regularly update my instagram account and Facebook page with goofy pics and progress! I’ll be back to posting regular sewing updates asap, but there’s a good place if you want to see what I’ve been doing as of late. 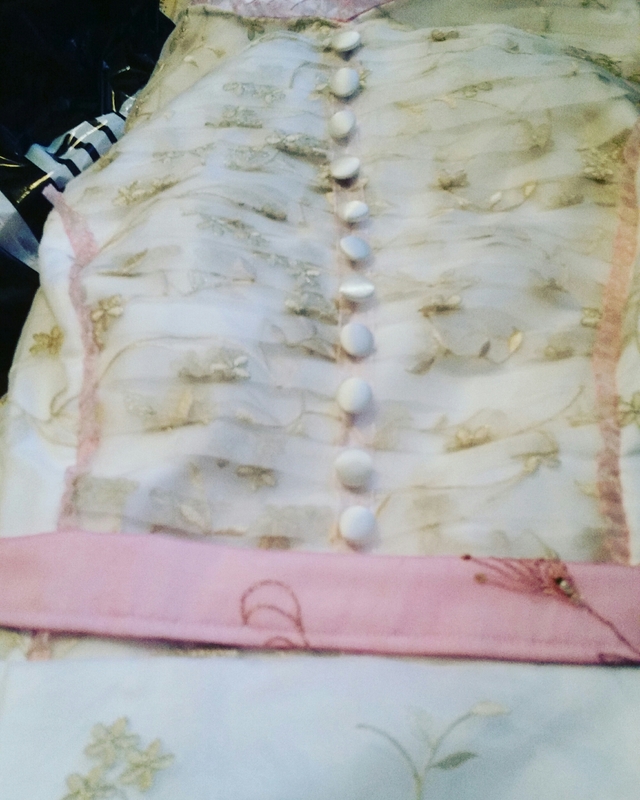 Here’s a sneak peek of the shindig dress bodice. It’s done save for the sleeve trim. Previous Coming Up, In Progress, Etc.